Pratishtha Mahotsava of tallest statue (108 feet) of our first Thirthankar Bhagwan Rishabhdev is underway in Nasik, India until March 6, 2016. Jain Community lost an eminent and divine Sant last week - Gurudev Jayantilal Muni. Over 10,000 disciples from all over the world participated in his Samadhi yatra in Petarbar. I was fortunate to meet Gurudev two years ago, which left a lasting impression on me. Shri Jayantilal Maharaj was born in the year 1924 at Dalkhaniya, Saurashtra, Gujarat. 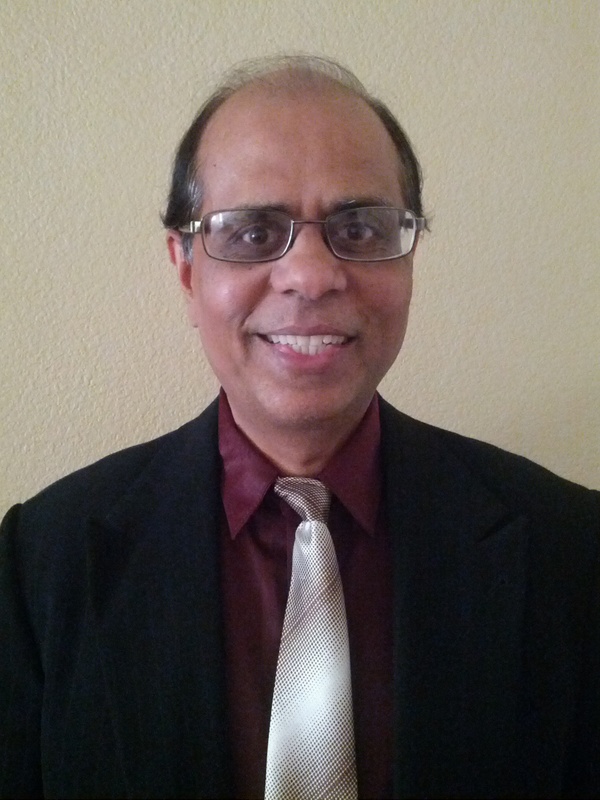 His parents' name were Amrutben & Jagjivanbhai Madia. Jayantilalji had taken Diksha in the year 1942 from his guru, Shri Pranlalji Maharaj. In 1981, Jayantilalji had founded 'Sri Jagjivan Maharaj Chakshu Chikitsalaya' in Petarbar for poor and tribal people of Jarkhand. He had opened many schools in Jharkhand under the name of 'Shri Jagjivan Maharaj' and spread religious values to the kids. He had also motivated to establish 27 Upashrays for Sadhu/Sadhavi jis. His favorite proverb was ‘We need co-operation not competition’. Shri Jayantilal Maharaj passed away on 22nd February, 2016 and his Palkhi Yatra was held on 24th February, 2016 at Petarbar, Jharkhand. 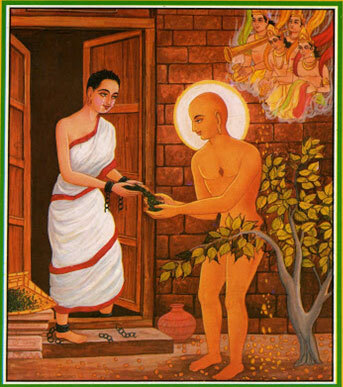 We bow down to this Mahan Aatma and wish to follow his path of Seva Bhawna. Education and knowledge has historically proven to be one of the cornerstones of Jainism and the future of Jainism depends on its youth being well versed and knowledgeable. 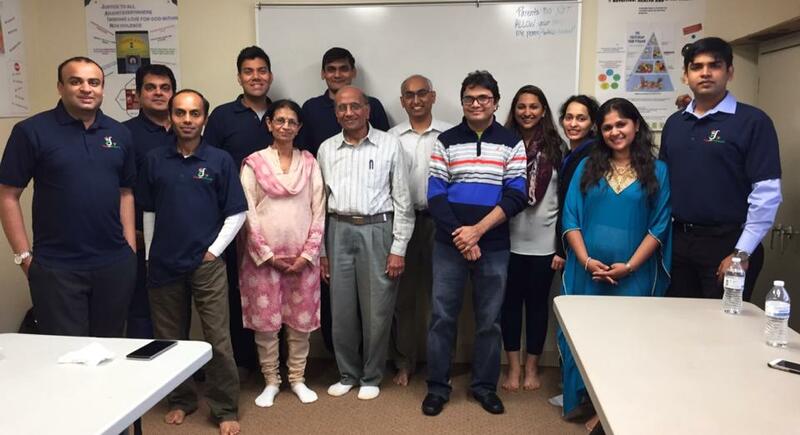 Recently, YJP had their board meeting at the Jain Society of North Texas (JSNT) in Dallas, TX from February 12 to 15, 2016. They are thankful to JSNT for welcoming and hosting the new YJP board members. In meeting, YJP has appointed their new Board Members, discussed objectives and activities for the year. Click here to read more. 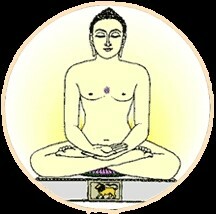 Jain Education and Research Foundation (JERF) has organized 6th Annual Bhagwan Mahavir Jayanti Lecture on ‘Locating Jainism in Maharashtra, India’ by Dr. Whitney Kelting, Northeastern University. Click here to read more. Click here to read more. Chandana was amazed at how things were going. She started wondering that once she was a princess and could get anything she wanted to, and now she had to settle with whatever she was getting. Chandana then thought of offering lentils to someone else before she started. She got up, and walked to the door, and stood there with one foot out and the other in. Click here to read more. On the occasion of 25th Saiyam Rajat Jayanti of Gurudev Shri Namramuni Maharaj Saheb, Shri Bhagwati Jain Diksha Mahotsav was held, on 14th February, 2016. Where 8 youngsters took Jain Diksha Vrat in sanidhya of Gurudev Shri Namramuni Maharaj Saheb. They underwent a complete transformation of their identities and embraced a new identity after renunciation. 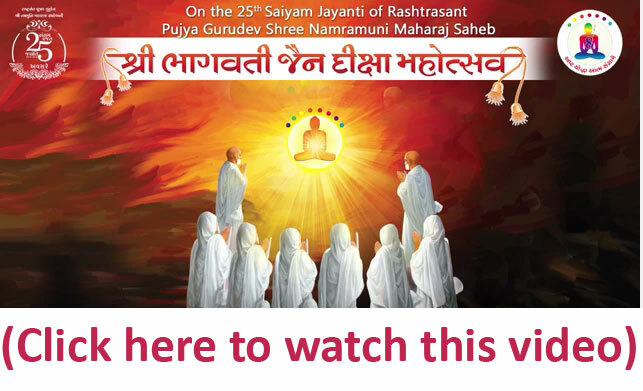 Watch the Diksha Mahotsav by clicking on image.